CBD Oil… Hype, Harm, or Heck Yay! In last week’s article, I began my discussion of CBD (cannabidiol) oil. I just reviewed its popularity and why it is being mass marketed on my Saratoga.com blog. Now I will review the background and timeline regarding cannabis, hemp, and CBD. Understanding the history will help to clarify why this “craze” is more than hype. Rather, it is a longstanding query as a legitimate medical intervention. Due to its classification and proclaimed addictive properties, one cannot separate its history from the legalities; therefore, a brief overview of its regulation will also be included. For those that are tempted to start a snooze fest from the mention of days of old, you may want to “caffeine-up.” This is because the “flavor” of this discussion will be “blended in” with its previous uses and updates on current indications briefly here and in future posts. The History of Marijuana in the U.S. In the 20th century, cannabis was used for medical rather than recreational use. It was regulated by consumer laws, including the Pure Food and Drug Act of 1906. It was banned by several states between 1911-1930, but not by the federal government. Fear of cannabis grew in the 1920s and 1930s related to immigration from Mexico. In the mid-1930s the federal government endorsed state-level actions and encouraged a tax act to criminalize unregistered and untaxed production and use. The Marihuana Tax of 1937 was passed by Congress to regulate production, distribution and use of cannabis. It also required cannabis to be registered and taxed by federal authorities. At this point it was not criminalized, but nonmedical supply or use was a violation. Today cannabis is regulated by local, state, federal, and international laws. State laws often mirror the federal law, “the Comprehensive Drug Abuse Prevention and Control Act of 1970, which includes the Controlled Substances Act (CSA).” The CSA places cannabis as a Schedule 1 drug. This is the most restrictive category, putting cannabis with heroin and lysergic acid diethylamide (LSD). Today, federal criminal law prohibits the supply and use of cannabis except for medical and scientific purposes. As states and the federal government remain divided on cannabis regulation, the confusion continues in relation to its legality, addictive, and medicinal properties. In 1996, the first medicinal cannabis legislation was passed by two states. This paved the way for its re-emergence in medicine and its popularity. Although Arizona later rescinded, California’s passage set precedent for other states to legalize its use, all differing in appropriate restrictions and applications. The list of states where medical or recreational use of marijuana and CBD is legal keeps growing. Thirty-three states and Washington, D.C., have passed medical marijuana laws (including 10 states and the nation’s capital where recreational and medical use is legal), says Paul Armentano, deputy director of the National Organization for the Reform of Marijuana Laws (NORML). Also, 14 states have enacted CBD-explicit medical laws. 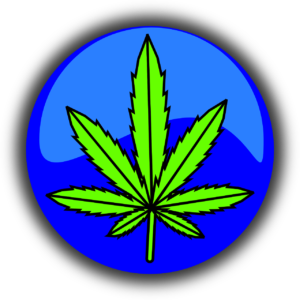 State Medical Cannabis/Marijuana laws can be viewed here. There will be more details on legality issues in a future article. The difference between cannabis species, its compounds including THC and CBD, and their uses. What has fueled the recent popularity and re-emergence of CBD oil. “Weeding out more of the details” on the legal issues around cannabis, hemp, and CBD. Some of the caveats and potential dangers of CBD. A review of its efficacy from various trials, including clinical ones. Once again, GREAT complementary research to what I have also found. Looking forward to your future articles on this topic.